Strong and light aluminum components make up both the front and rear suspension systems, helping the XF to respond with agility and to perform with dynamism while maintaining ride comfort. At the front, a double wishbone suspension structure, similar to that found in the F-TYPE, ensures exceptional steering feel. An integral link suspension system at the rear provides rigidity to support handling while offering great ride quality. The control, agility and feedback offered by this suspension architecture ensure that the XF feels alive. Whether you’re accelerating on the highway, cornering on country roads or navigating uneven surfaces around town, available Adaptive Dynamics is designed to instinctively modify the vehicle’s response to conditions and your driving style. The system constantly adjusts the electronically controlled dampers to optimize the suspension settings. JaguarDrive Control allows you to select between Standard, Eco, Dynamic or Rain-Ice-Snow Modes, each subtly changing the steering, throttle response and gearbox shift points. Eco Mode encourages fuel-efficient driving while Dynamic Mode increases throttle sensitivity, holds gears for longer and increases steering weighting. By selecting Rain-Ice-Snow Mode, the system automatically dampens acceleration and applies more gradual traction in slippery conditions. 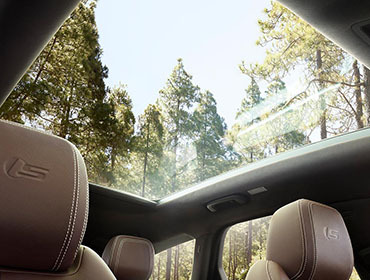 Made from a single piece of glass, the fixed panoramic roof optional on the XF Sportbrake measures more than 17 square feet and gives uninterrupted views of the sky. 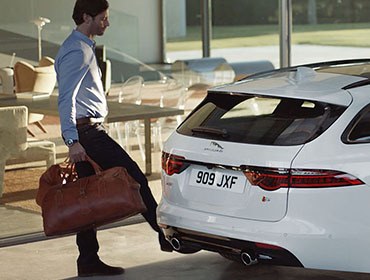 The XF makes no compromise between assertive style and versatility. Advanced driver assistance technologies mean you can relax knowing the XF is designed to help keep you safe, while the practical loadspace and a range of innovative, convenient features support your lifestyle. 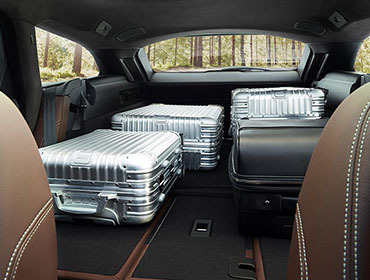 With Powered Gesture Trunk Lid or Tailgate you can access the cargo area when your hands are full. Simply wave your foot under either rear corner and the door opens or closes. 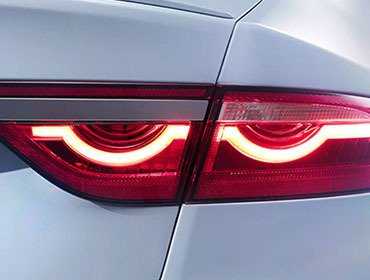 One of the many exquisite finishing touches on th XF Sedan is a unique pinstripe graphic on the distinctive, F-Type inspired, LED taillights. Push the Start button and the XF awakens. With perfect choreography, air vents rotate open, the JaguarDrive™ selector rises smoothly, the engine growls - all inspiring you to anticipate the drive ahead. The Blind Spot Monitor (optional) uses radar sensors to cover areas difficult to see when you’re driving – either directly or rapidly approaching in your blind spot. If it detects cars overtaking, it warns you via an amber icon in the appropriate door mirror.4 In addition to Blind Spot Monitor, available Blind Spot Assist can help prevent collisions. If your car detects another vehicle in your blind spot when you begin to change lanes, Blind Spot Assist provides a precisely calculated opposing steering torque - guiding the vehicle safely away from the approaching vehicle. These systems make parking in tight spaces easier than ever. Sensors measure the space and, if suitable, will enable XF to accurately steer itself during both parallel and bay parking maneuvers - the driver only has to control the brakes and accelerator. For parallel spaces, an exit-assist function can help guide XF out again. The reverse traffic detection system, using the blind spot monitoring system’s sensors, is able to detect approaching vehicles that may be unseen by the driver, triggering an audible alert and a notification on the Touch-screen.